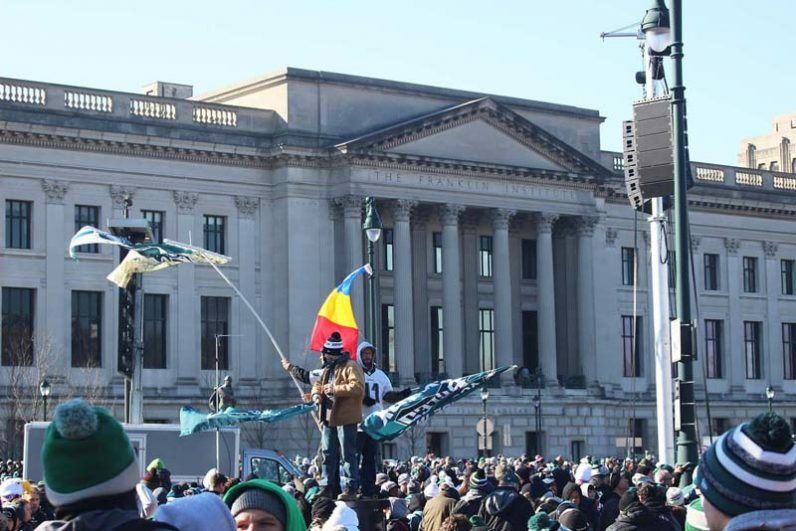 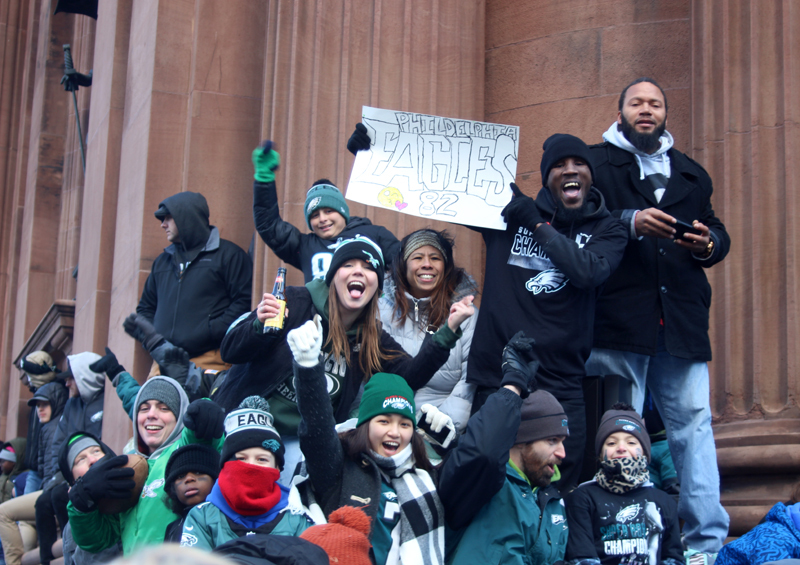 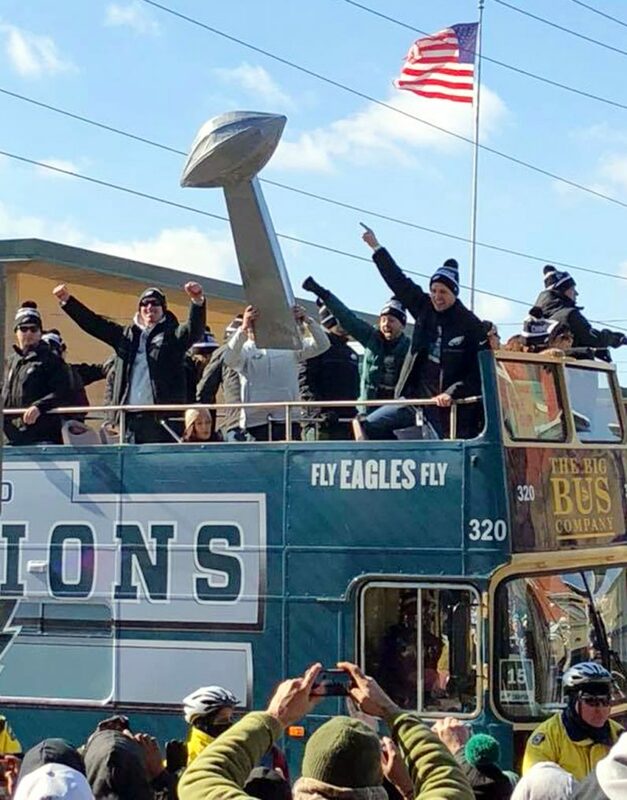 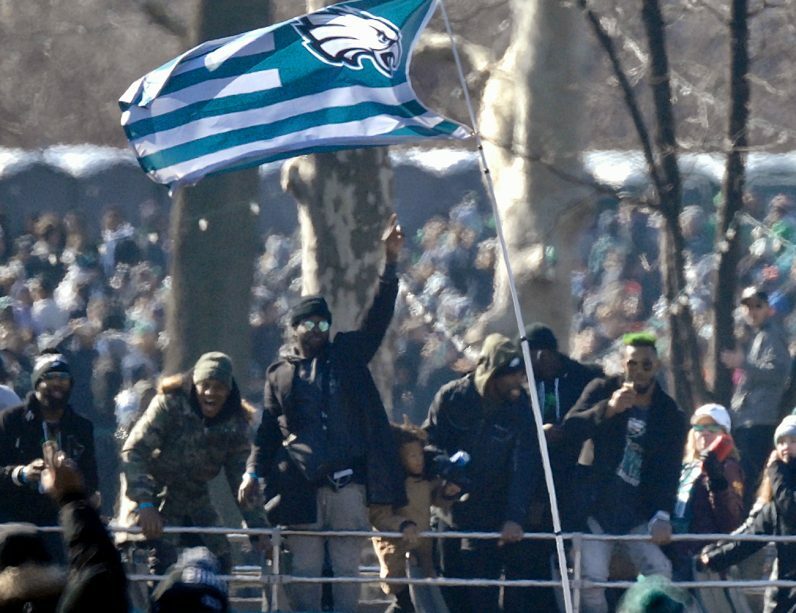 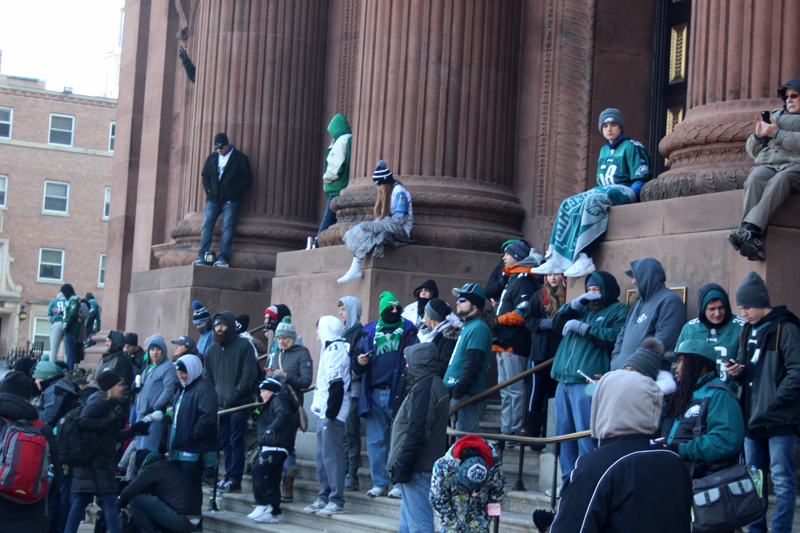 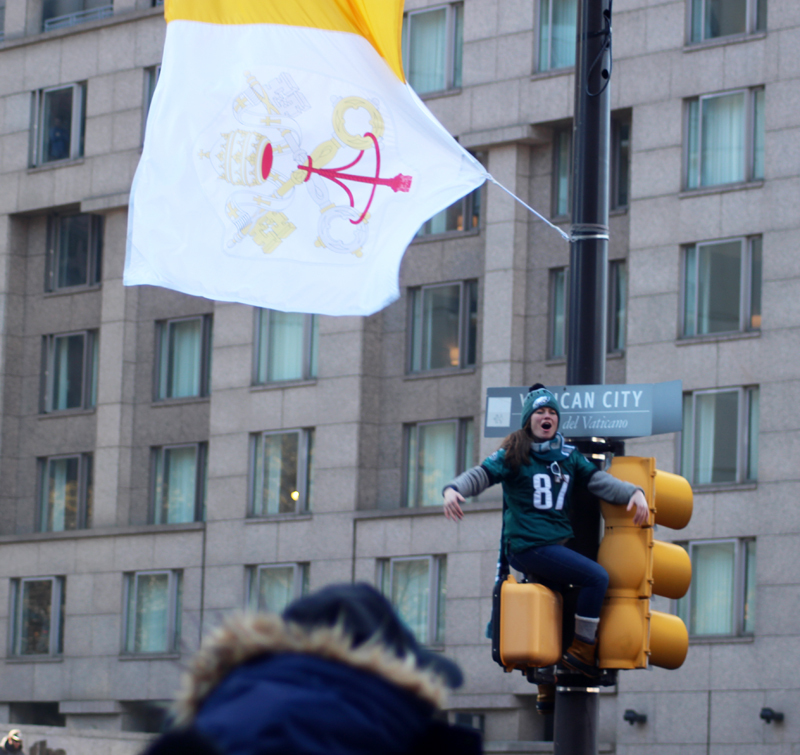 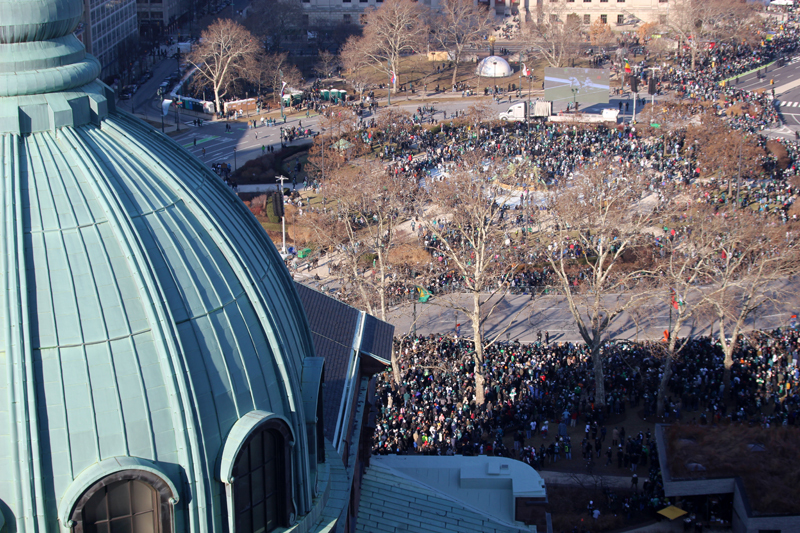 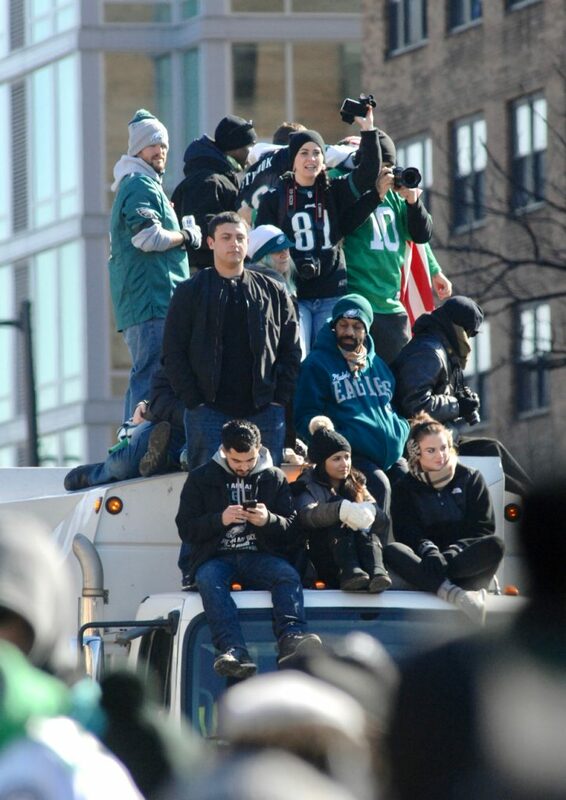 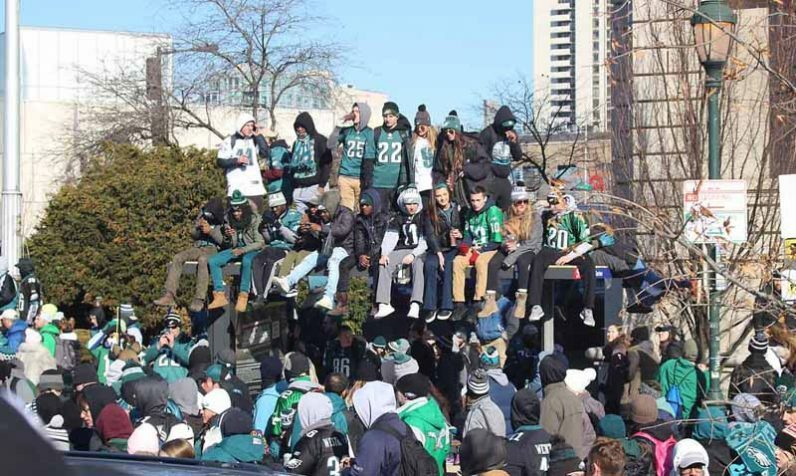 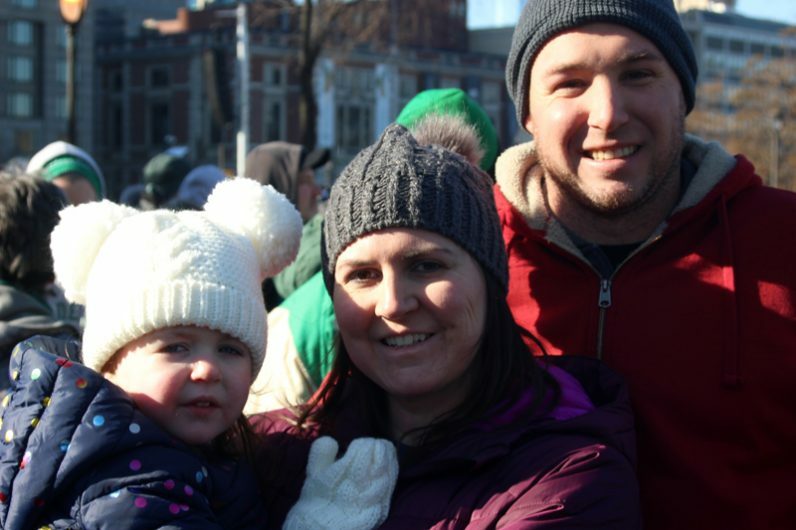 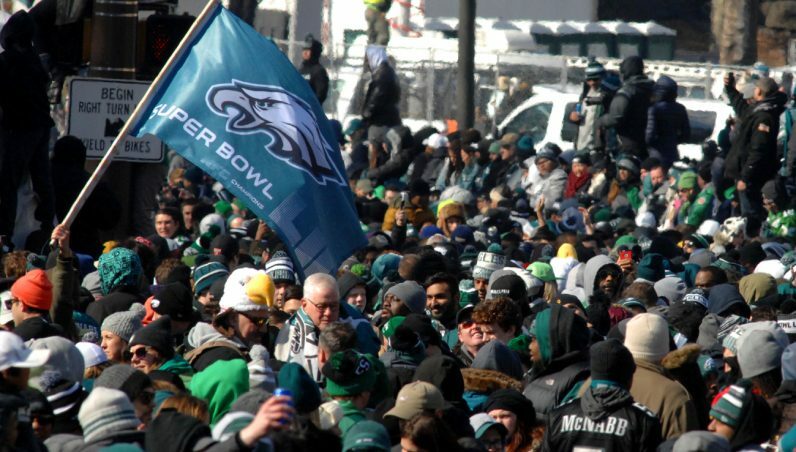 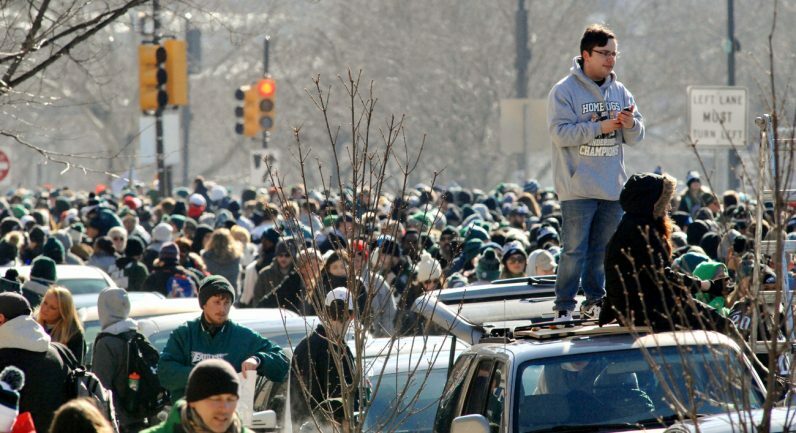 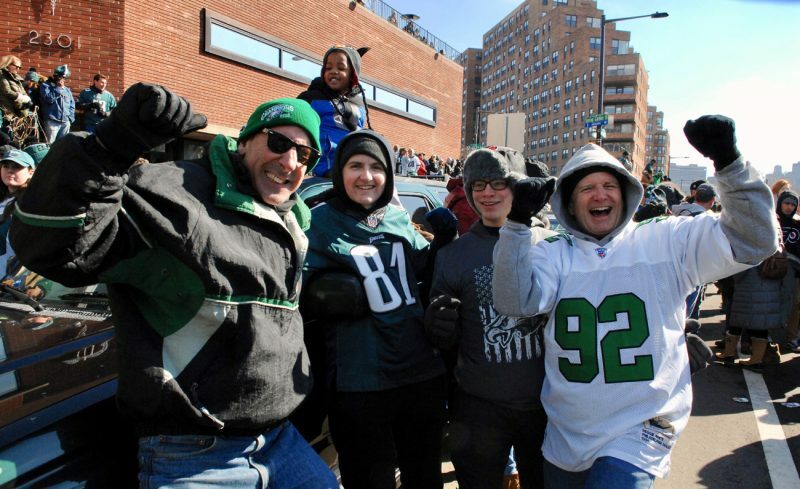 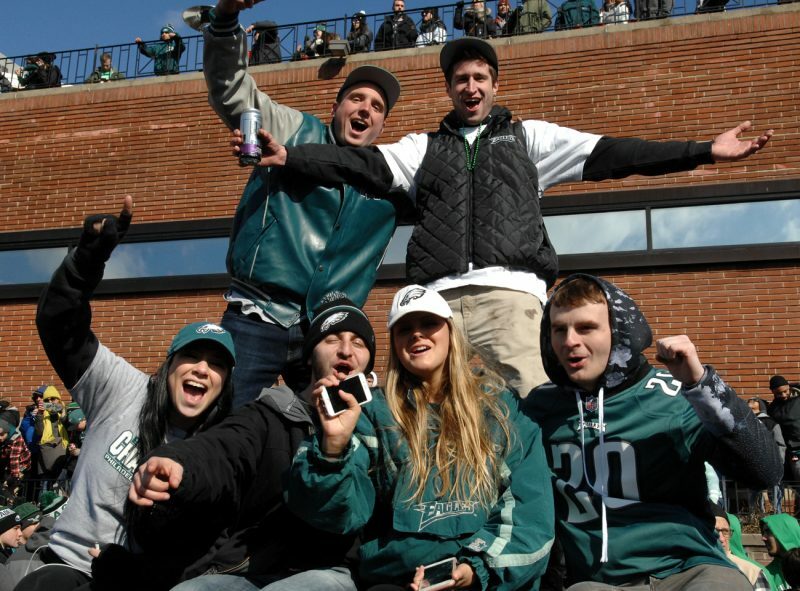 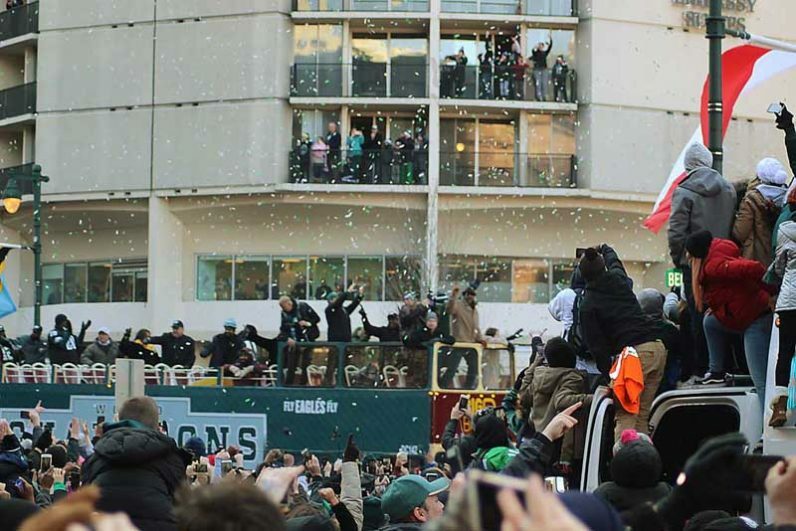 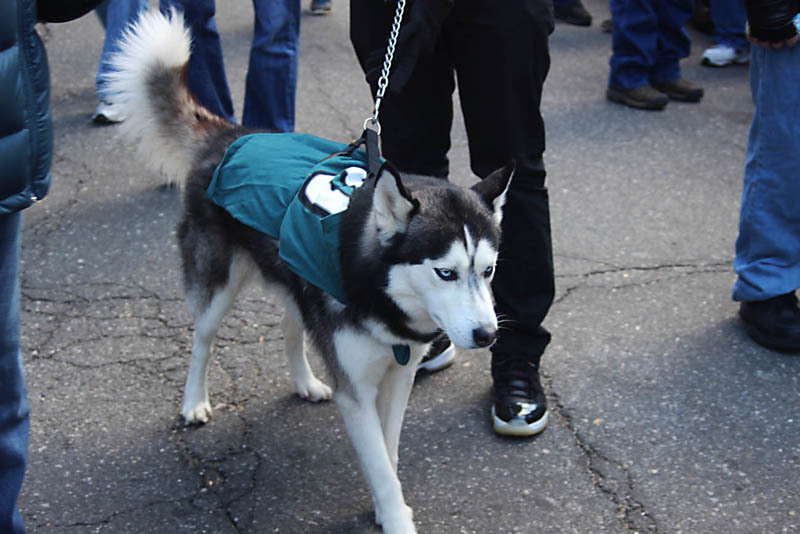 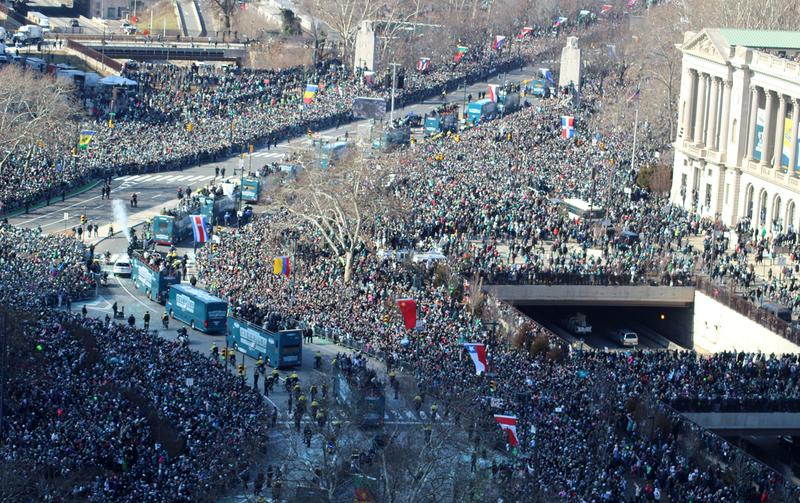 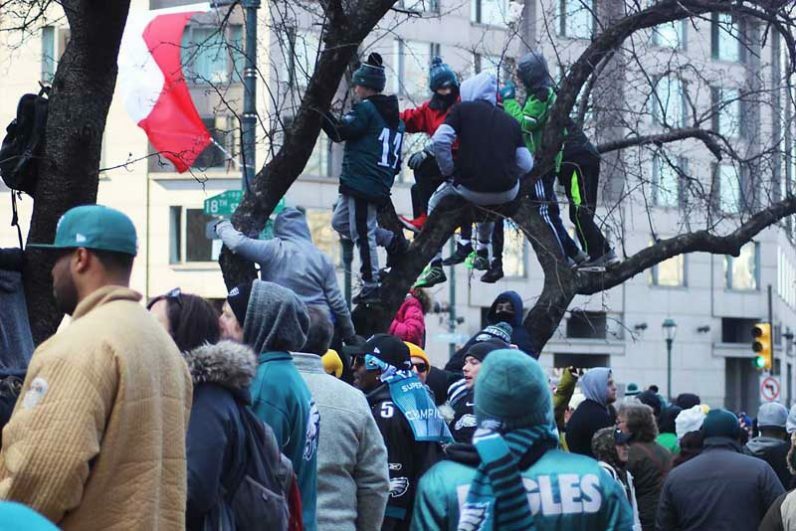 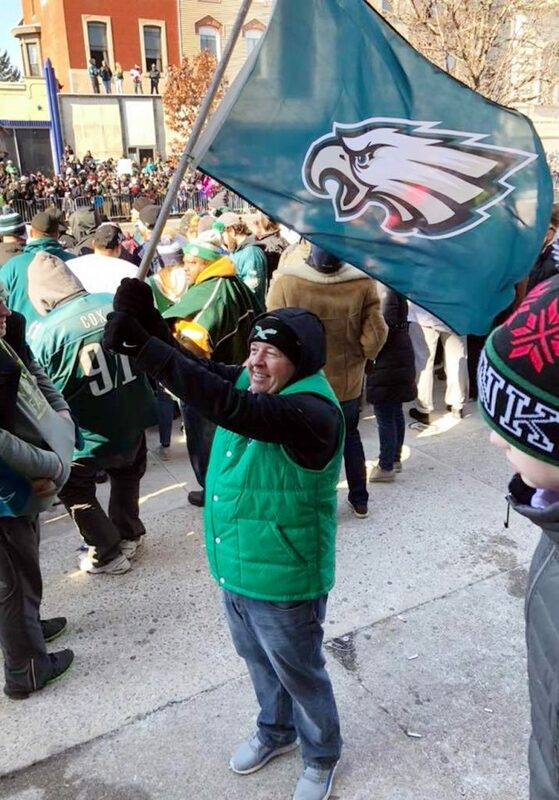 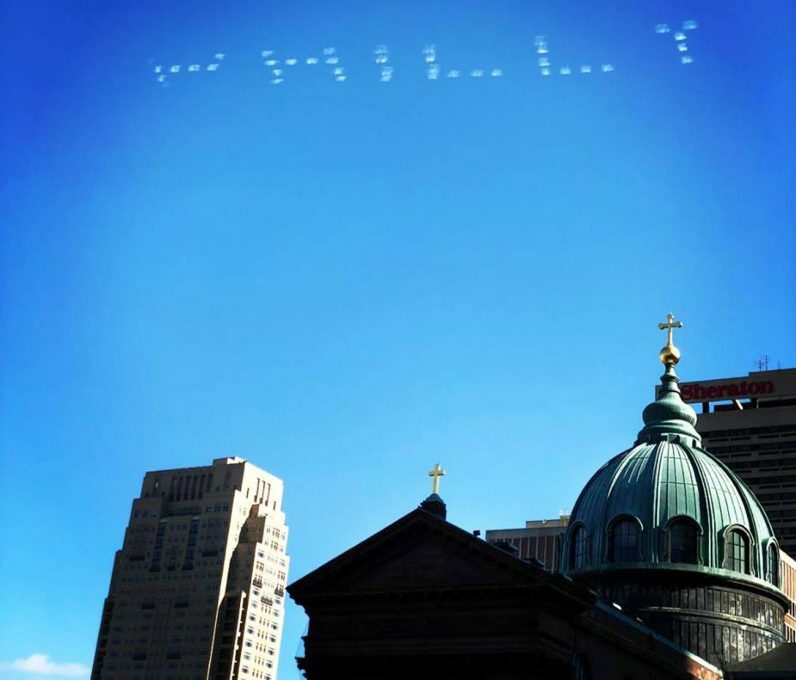 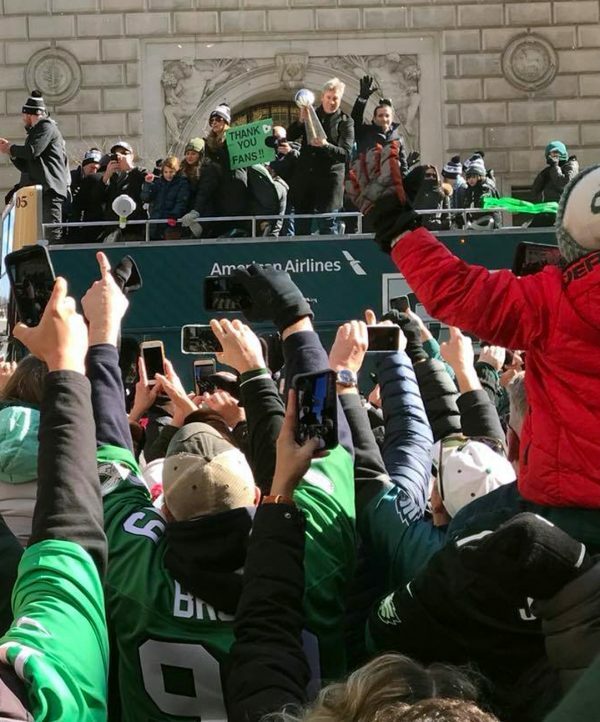 More than a million fans of the Philadelphia Eagles streamed into the city Feb. 8 for a Super Bowl championship parade and victory rally that was unforgettable in its passion and scope. 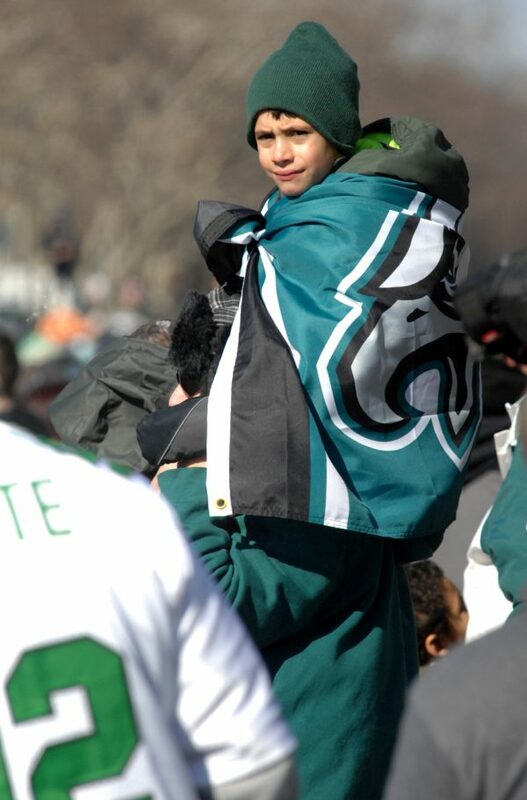 See our gallery of 28 photos from the day and read complete coverage here. 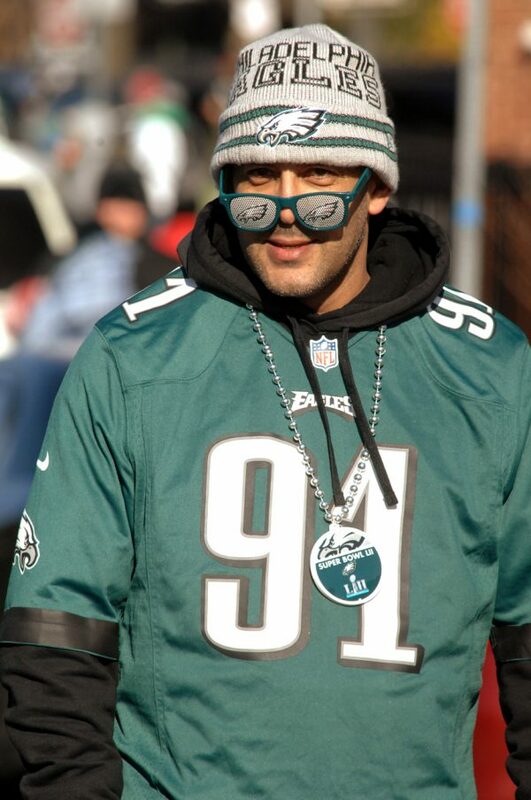 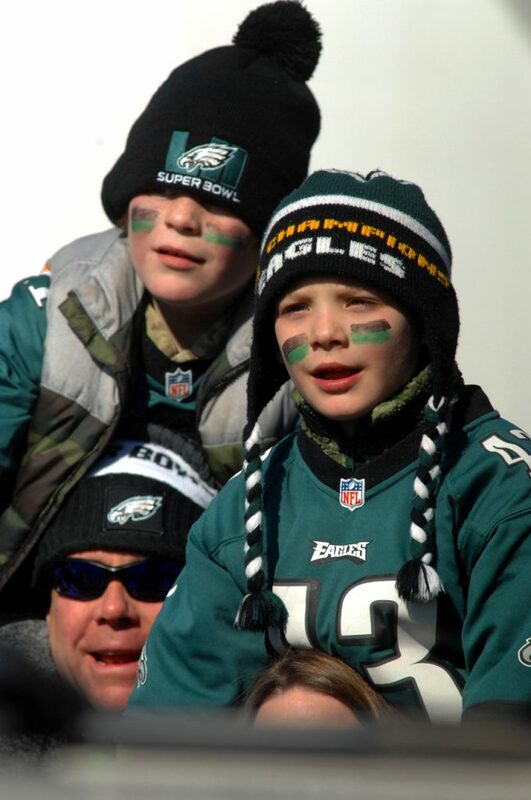 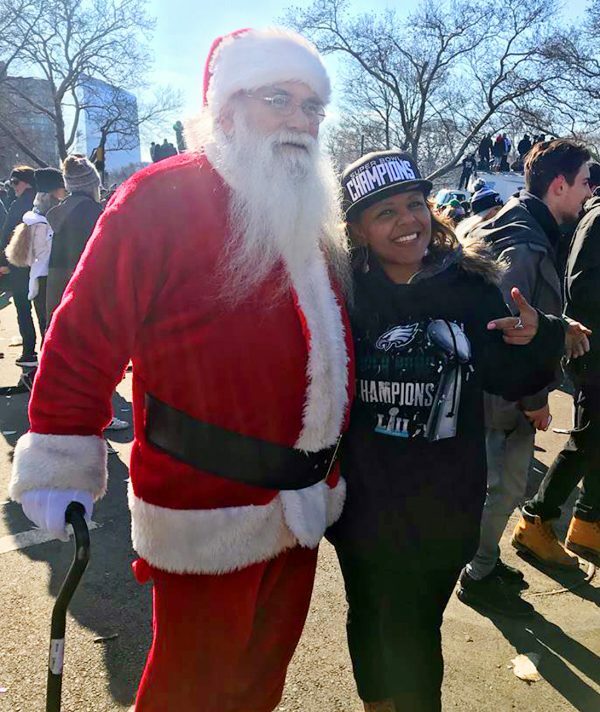 Even Santa showed up to support the Eagles, apparently forgiving that long-ago snowball-throwing incident. Posing alongside is Natalie Martinez. 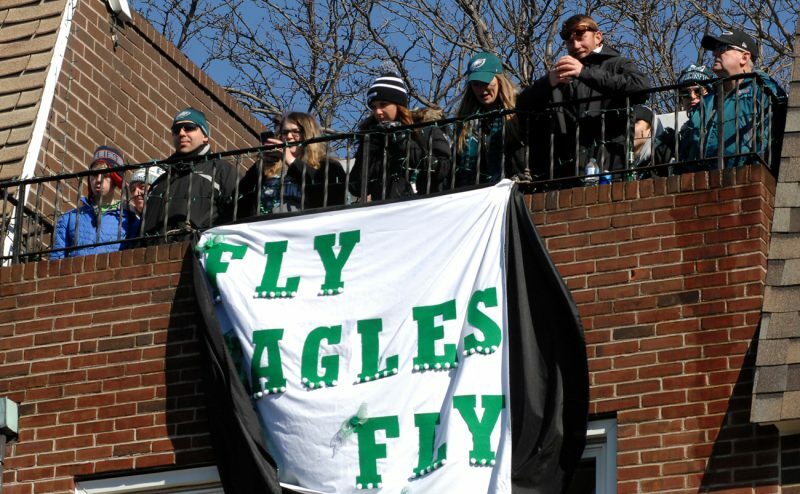 Awesome article and photos Matt. 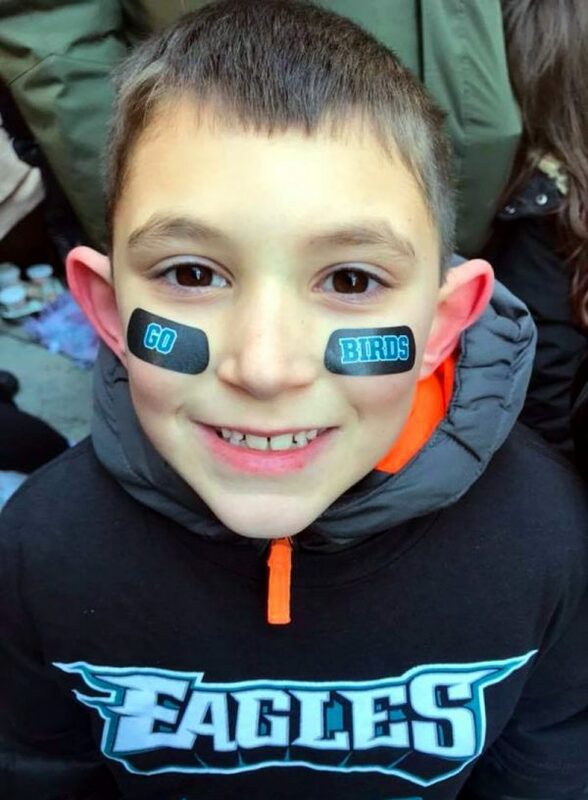 You captured the spirit of a beautiful day perfectly. 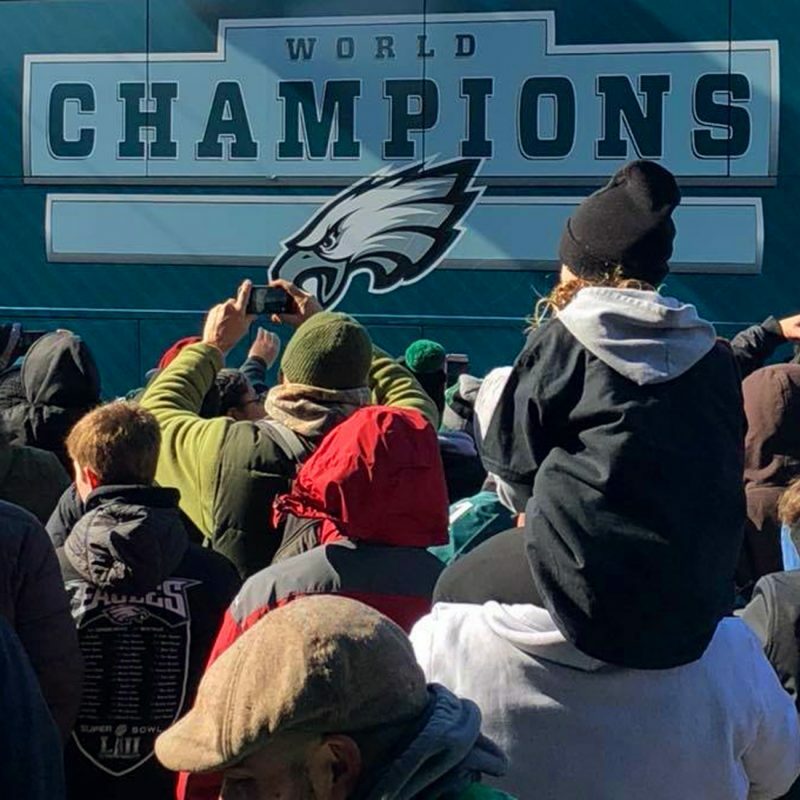 Congratulations to the Eagles and the whole city.